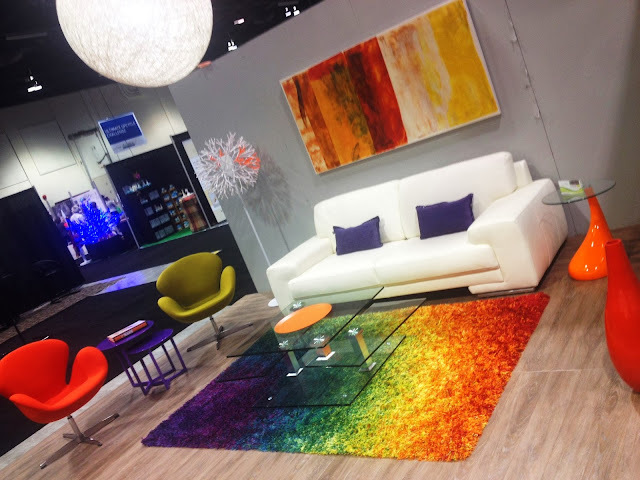 A few weeks ago, one of my favorite yearly event, the Home and Design Show returned to Calgary for its 30th year at the BMO center. This year's event was bigger and better than the last few years and I was excited to check out all the new vendors and attractions showcasing this year. Here are three of my favorites from this years show. As I walked around the exhibition hall, three magnificent bubble tent like structure with see through ceilings caught my eye. It was like nothing I had ever seen before. 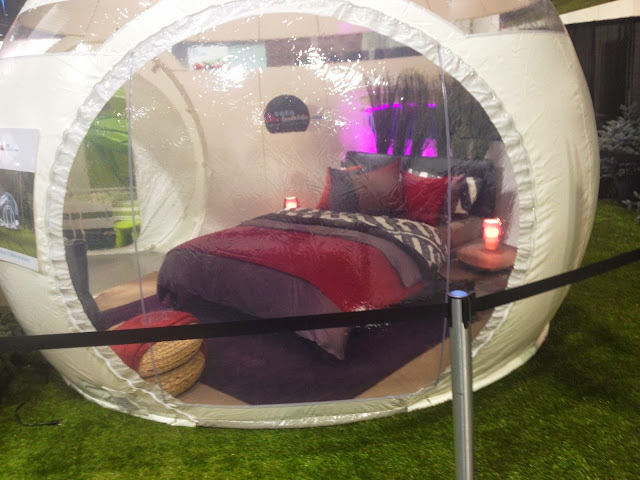 I inquired about it and spoke to one of the creators, Pierre Stéphane Dumas who mentioned that the idea behind this amazing creation was to give the owner the comfort of enjoying the outdoors with the feel of being indoors with minimum material and energy to achieve maximum pleasure. Made from UV reflecting recyclable materials, the bubble tents are easily inflated and structure's shape is maintained by continuous running electric pumps which also helps with the circulation of fresh air... Genius! 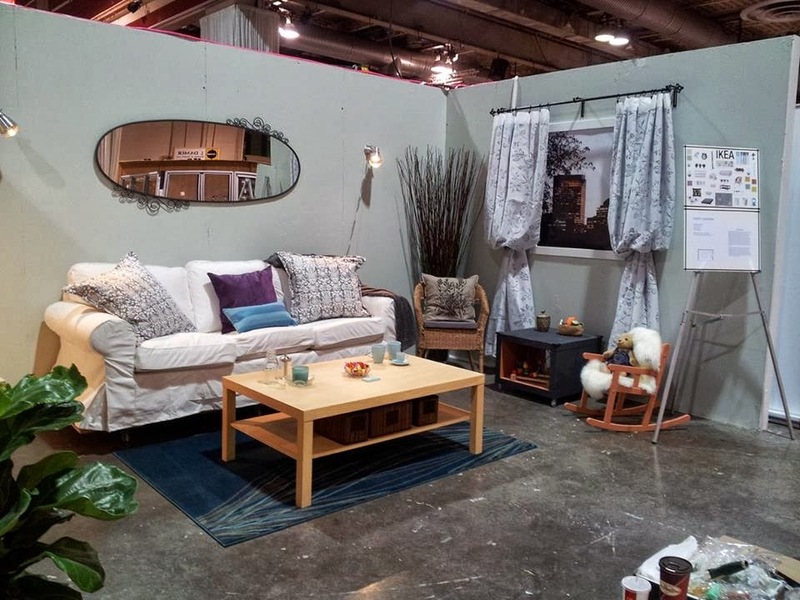 Another favorite of mine was the Ikea white room challenge with the Interior Design students from Bow Valley College. Coincidentally, one of my dear friend Chantal was part of the challenge and her group was asked to design a room for "Empty Nester", who recently had all their kids move out and wanted a space to reflect that with $1000 to spend. I was absolutely impressed with what they did. I also stopped by EJ WIP Designs, one of my favorite African arts and design store to pick up some handmade coasters for my home. EJ WIP Designs, a mother and daughter family run business has been around since 2008, selling authentic handmade wood masks, carvings, drums, jewelry, African print clothing, and natural skin care products like Shea butter lotion. 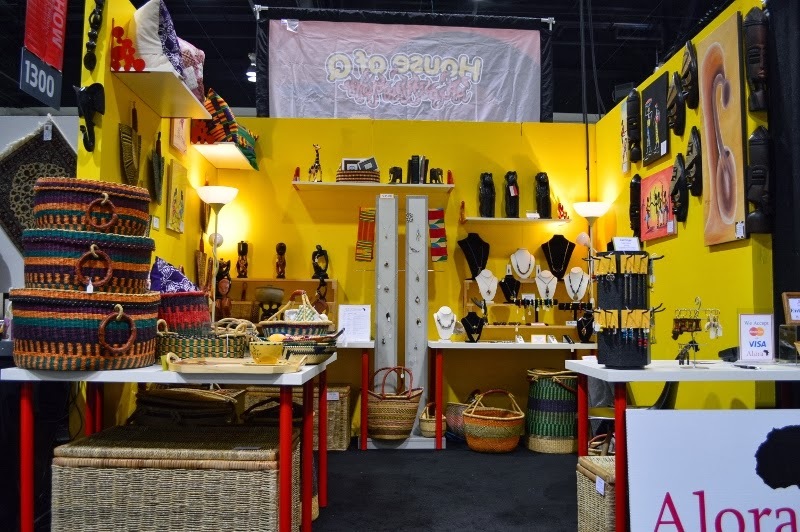 The Dynamic duo show a lot of passion through their work and their goal is to have the West African culture incorporated into every Calgarian's home through their products. Thanks for another amazing event.